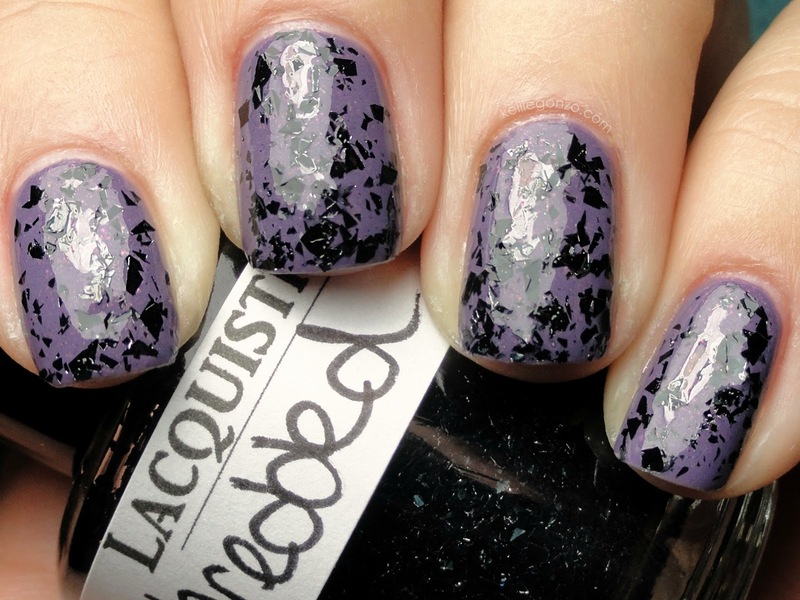 I've found some cool things on Etsy, but by far the coolest item I've scored so far is this special effects top coat from Lacquistry called Shredded. Many of you might've seen me tweet a picture of this earlier this month and the response was hugely positive. 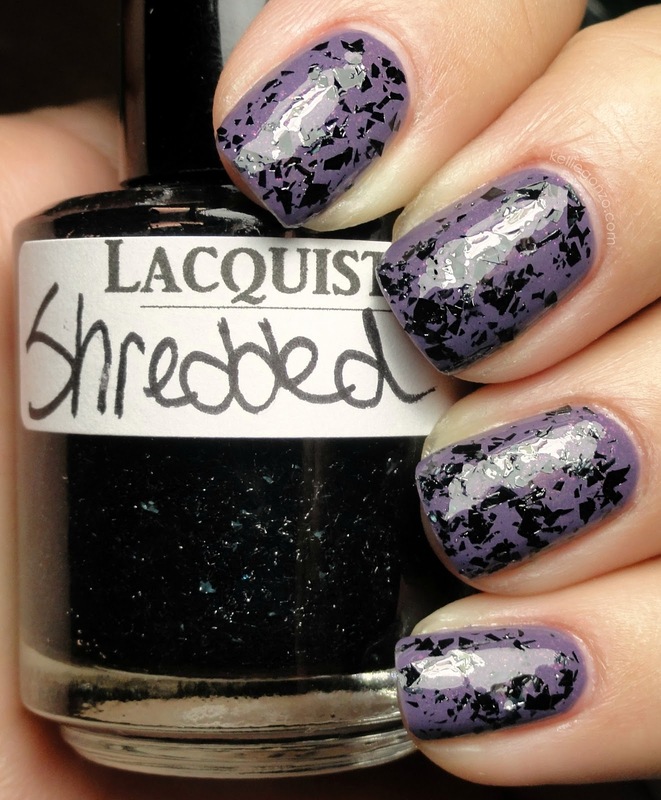 This is two "coats" of Shredded over Zoya Lotus. I put quotes around 'coats' because with chunky polishes like this I usually dab rather than coat if that makes any sense. You can get this polish and many more cool creations on Jenna's Etsy store Lacquistry for $7.50 each.